Bachelor of Vocation Interior Design will commence from this year onwards at our College. It is Recognized by Mumbai university and approved by UGC Delhi. It is a 3 years full-time degree course, from 2018-19 academic year. Throughout the ages man has created his living environment with a concern for values of life a collective and an overall desire for beauty, grace and happiness. Architecture in the board sense as aspires towards understanding of human perceptions and behavior and the technology of translating this into reality. In the modern age, design is said to be a blend of need, art and technology and in educating we aspire to evolve a synthesis of these. Bharati Vidyapeeth College of Architecture along with it allied courses has been training students of Architecture since the year of its establishment in 1992. 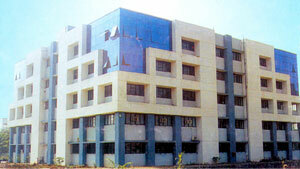 The college has progressed with a zest for achieving professional excellence through qualitative education. In recent years, there has been growing awareness about the need for an education, which offers far more than a traditional academic curriculum. The is an approach to education, which offers a more individual centered and holistic approach to learning. Bharati Vidyapeeth is committed to the education of the “Whole person” and the belief that your people must be constantly challenged. The college aims realize the academic potential of each student Yet, the education offered by the college is desired to go beyond this.